Yoga for Cancer and Chronic Conditions is an adaptive yoga practice DVD for people living with cancer and chronic pain conditions. 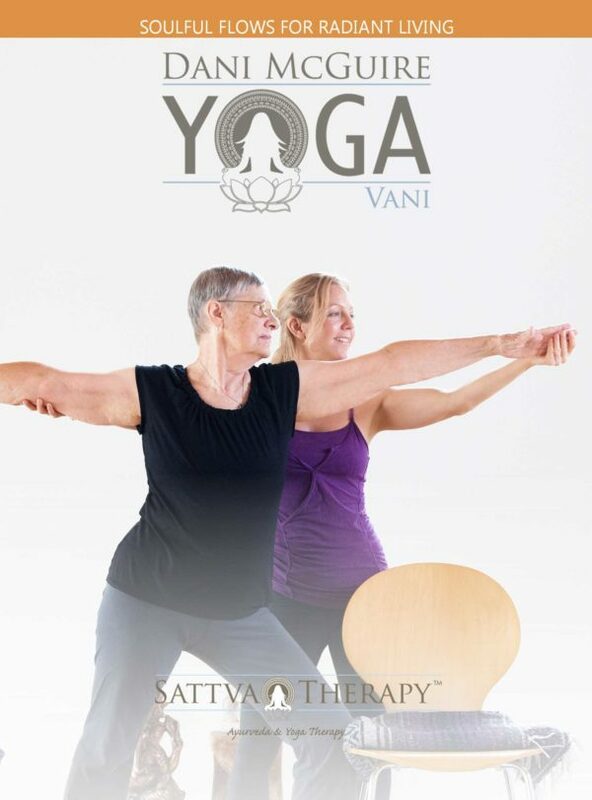 Like all Sattva Vinyasa and Sattva Therapy practices, yoga for cancer is a breath centered moving meditation and connection to the highest intention of healing and holistic health. This DVD is an adaptive, chair-based yoga practice, offering ultimate support for the practitioner to relax and find ease in the body. The DVD includes Dani’s(Vani) awareness practice, focused breath-cenerted movement, gentle therapeutic approach, and guided relaxation for optimal health and pain management.